Is your landscape looking a little dry? Keeping your vegetation properly watered can be a very difficult task given Arizona’s climate. 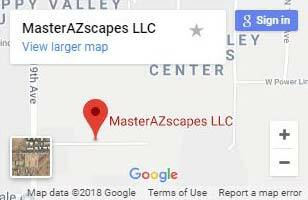 Thankfully MasterAZscapes LLC specializes in irrigation Phoenix properties need. With efficient and effective watering solutions, we’ll help you conserve water and save money. Our landscapers understand the nature of Arizona’s climate and vegetation. This allows our custom irrigation systems to properly water your flora, achieving a harmonious balance between efficiency and landscape beauty. We design and install a variety of irrigation systems and we will help you identify the right system that best meets your goals and budget. Properly designed and installed irrigation systems are extremely important for Arizona landscapes. Irrigation Phoenix home and businesses benefit from most is a careful balancing act. Our professionals know how to design systems that meet these needs for balance. We ensure you get the right amount of water to every plant in your landscape without over-watering. We have extensive experience designing for small and large landscapes. This includes irrigation systems for native fauna, foreign fauna, and commercial applications like athletic fields and golf courses. Professional landscaping irrigation Phoenix experts consider the desert when it comes to water conservation. Over-watering is a major problem in the valley and many cities give credit for converting your landscape. With a professional irrigation system you can maintain the quality of your landscape at a fraction of the price. Intelligent system design means plants, trees, and grass get only as much water as they need, saving you money and aiding conservation efforts. We warranty our installations so you get guaranteed reliability and craftsmanship. Our skilled technicians can also run water to fountains, outdoor showers, outdoor kitchens, and much more. Inspect your irrigation timer to make sure timing is correct. Replace the batteries frequently. Make sure to adjust the timer according to the season for best watering results. The valve box and the place where the underground valves are stored should never be flooded or show signs of flooding. Plants that are looking unhealthy may not be receiving any water due to a leak in the main poly line. Trees may show signs of sickness in bark and foliage due to under or over-watering. The surface area is soft and moist in a particular spot. 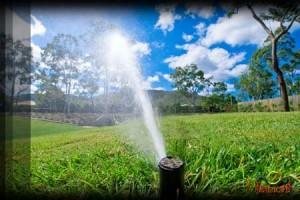 We can repair your irrigation Phoenix system, or advise on the newest available options and technology. A free quote is as easy as a phone call, and we provide 24 hour business phone bidding. When you want the best solutions for your irrigation system, rely on the masters to keep your plants and trees vibrant and healthy. Call (623) 780-0474 or Contact Us today.